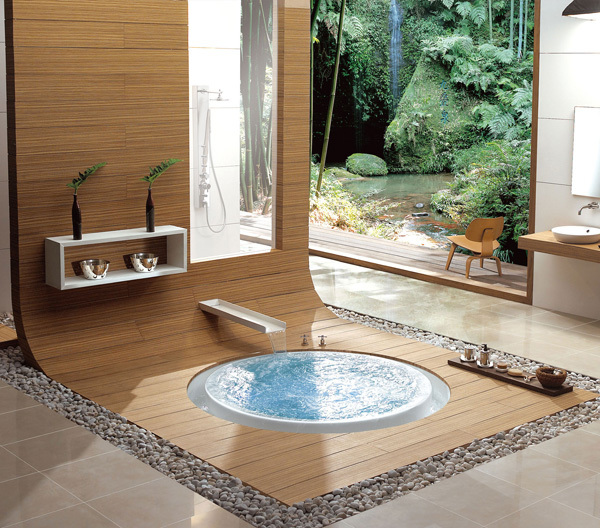 A spa bathroom can become a great personal retreat in the house. It doesn’t have to be too luxurious or spacious. 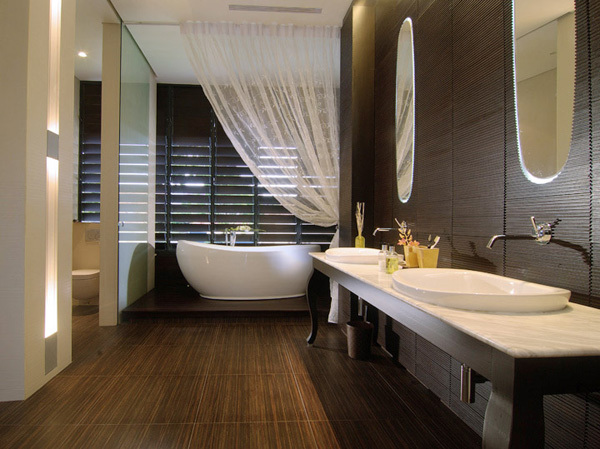 The key to creating spa-like bathroom is to create a relaxing atmosphere of a spa. Start with choosing the color scheme. It should be relaxing. Usually it’s the neutral, earthly colors that come with natural materials and finishes. 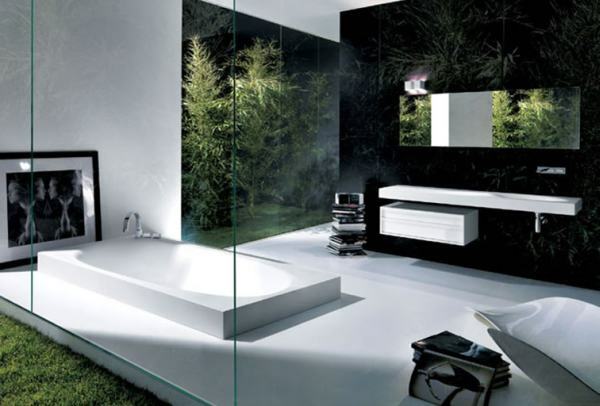 Also choose the style of your future spa bathroom. It can be hi-tech or modern, traditional or else. The abundance of natural materials like wood and bamboo will help create a soothing color scheme and atmosphere. A bathtub doesn’t have to be luxurious. 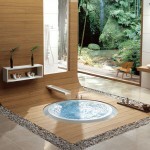 As for the type of the bathtub, you can choose a whirlpool, a free-standing, or a pool-like bathtub. The latter one is more common to the regular spas and it also looks impressive. The lighting is crucial to the spa interior. 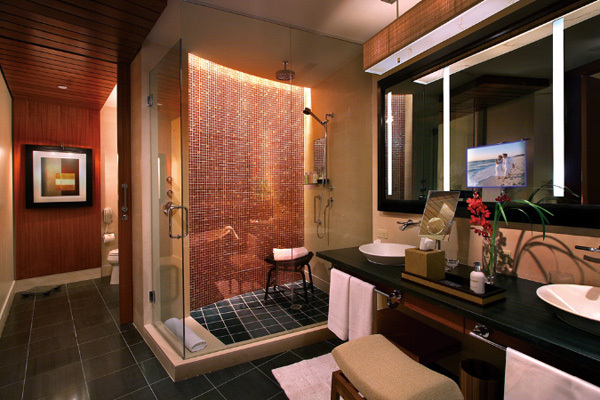 So in order to create spa-like atmosphere in the bathroom choose the right type of lighting. Usually the ambient like with dimmer switches will suffice. Built-in and wall lights with soft glow will help you create the right atmosphere in the bathroom. Make sure though that the lighting is functional with task lighting at the sink but still relaxing and soothing. Ensure plumbing safety especially if relocating the bathtub. Also give special attention to ventilation if you are going to burn candles in the bathroom. Use only good quality candles that don’t contain paraffin as it is a health hazard. Also be sure to use the electrical appliances in the bathroom such as a record player safely. Since spas are so aestetically pleasing it is important to use organizers to store cosmetic and household cleaning products. Use decorative containers to store liquid soap or mouthwash. Use shelves and racks to store towels and bathrobes and other accessories. 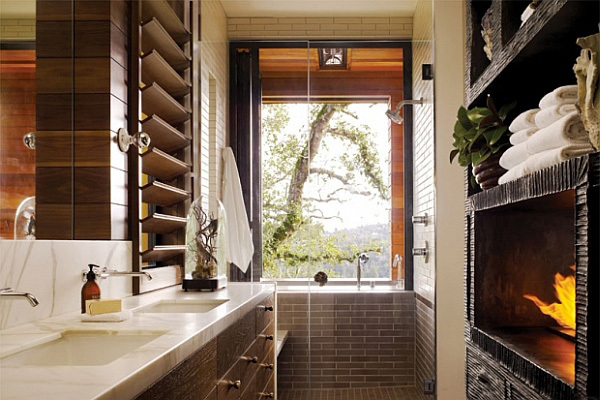 Make sure the bathroom has enough open space and clutter-free.